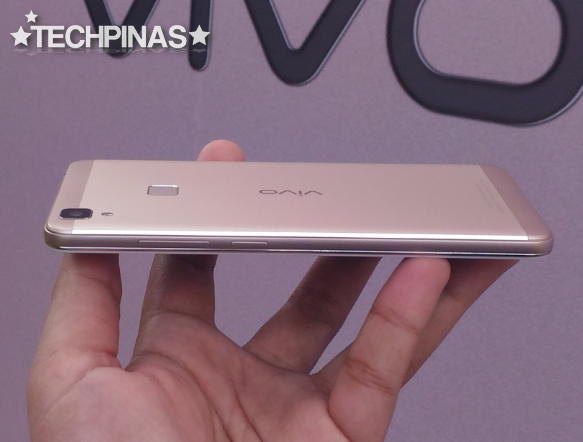 The new Vivo V3 is already slated to be released in the Philippines within this month, April 2016. 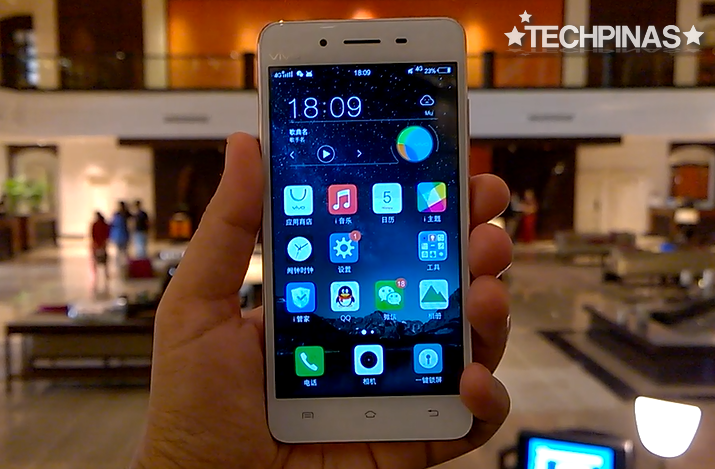 This model - simply put - is the smaller, less powerful, and more affordable version of the Vivo V3 Max phablet, which I talked about earlier. 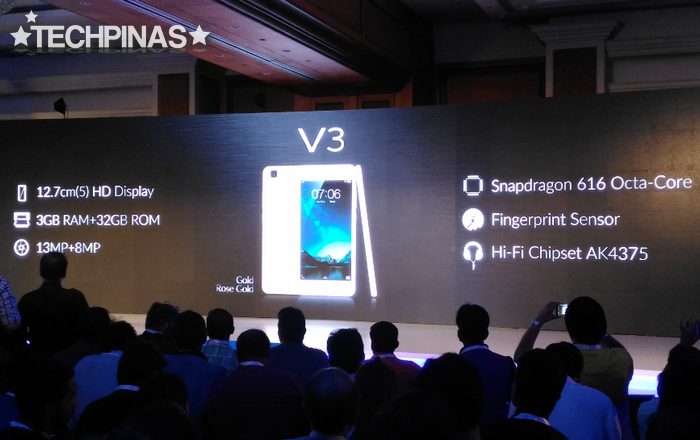 Like its larger sibling, the V3 also flaunts a CNC-crafted magnelium alloy unibody shell that looks premium and elegant. The curved 2.D glass face provides an air of sophistication and makes the device even nicer to hold and behold. 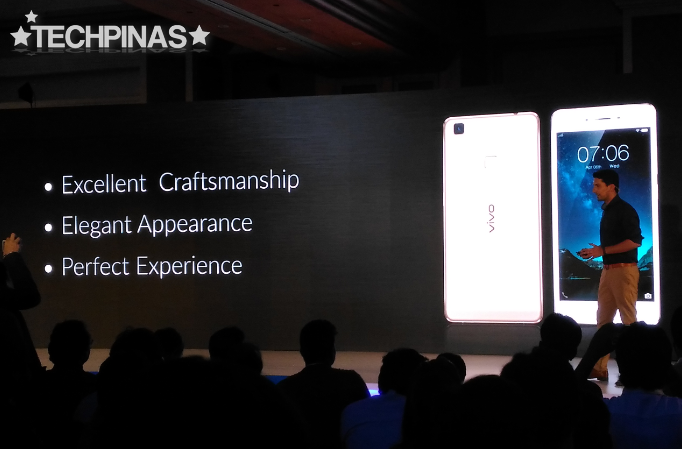 In fact, according to the Chinese handset maker, Vivo V3's aesthetics and build could very well be its strongest suits. To be fair, it's quite hard to find a gorgeous metal-clad handset like this in the midrage category. 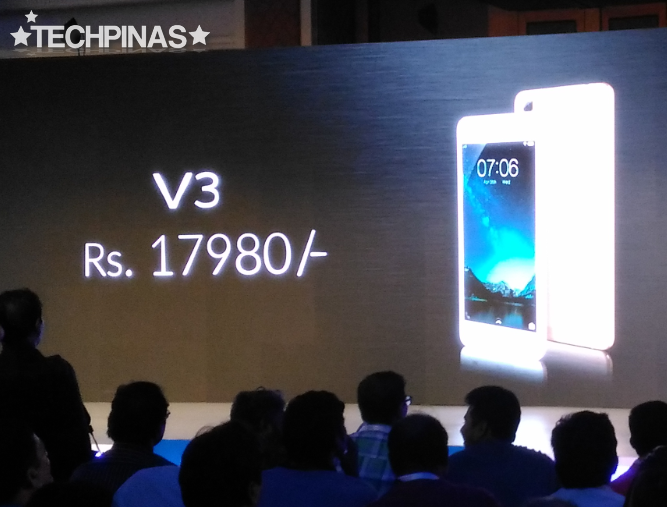 Vivo V3 dons an official SRP of 17,980 Indian Rupees or roughly Php 12,500 with current conversion. Having played with the handset during its launch in Mumbai, I really have to say that Vivo V3 one of the best-crafted handsets in its price bracket; Its build is quite stellar. I reckon many of you will agree with me once this model hits store shelves in our country a few days from now. Alright! Now, let's talk about this upcoming smartphone's key technical specifications and unique selling points. 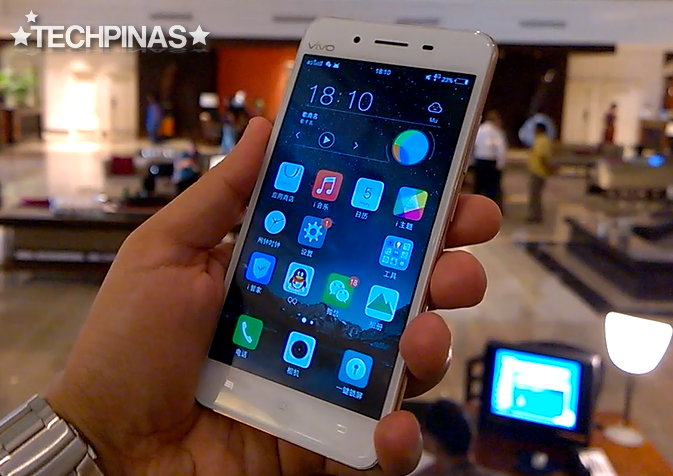 On the outside, Vivo V3 sports a 5-inch HD IPS OGS screen that looks crisp and clear regardless of the viewing angle. 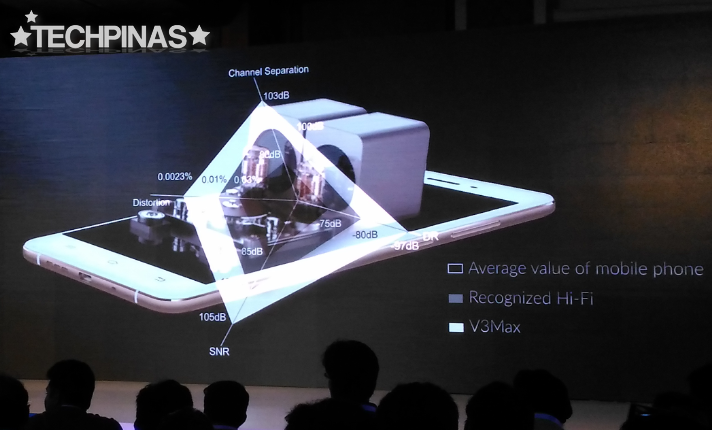 There's a 13 MegaPixel camera at the back with phase detection autofocus that's complemented by an 8 MegaPixel selfie cam in front. 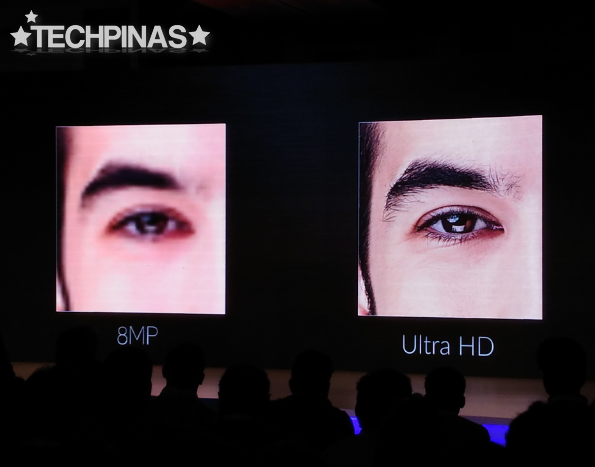 Both shooters have Vivo's Ultra HD mode that greatly enhances details to deliver even finer looking shots, ready for printing or sharing on social networking sites. 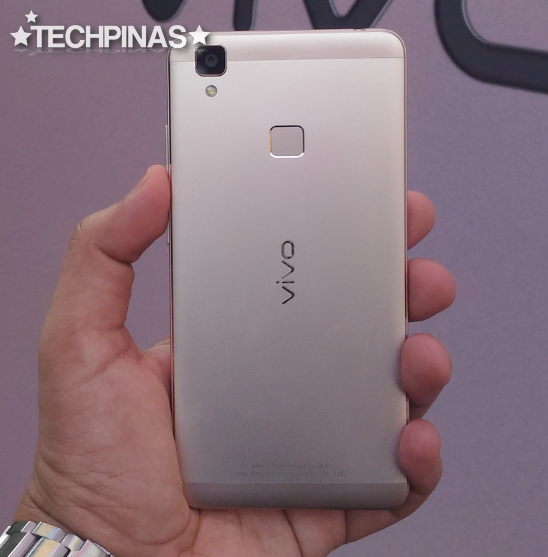 Under the hood, Vivo V3 runs its FunTouchOS-flavored Android 5.1 Lollipop operating system with a 64-Bit Octa-Core Qualcomm MSM8939v2 Snapdragon 616 chipset incorporating four ARM Cortex A53 cores clocked at 1.3 GHz, four similar CPUs clocked at 1 GHz, and an Adreno 510 GPU. 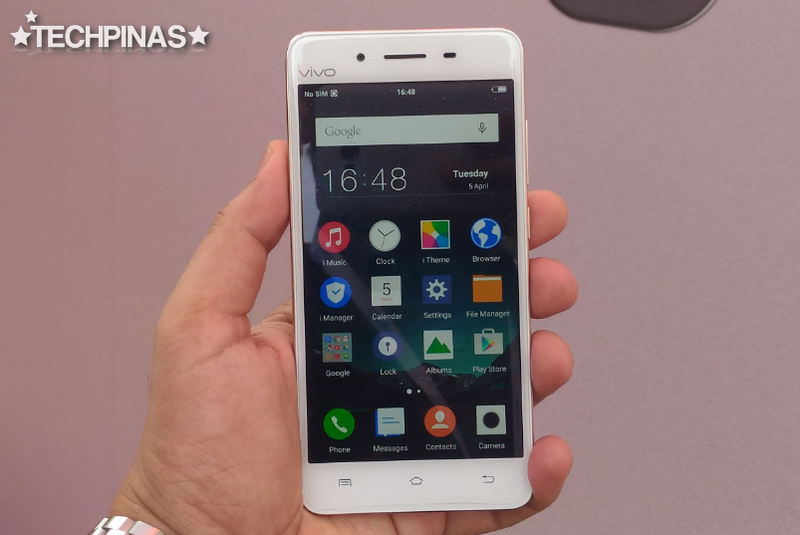 The device also has 3GB of RAM for smooth multitasking and comes wih 32GB of internal storage that users can beef up using the secondary SIM slot doubling as a microSD card expansion module. 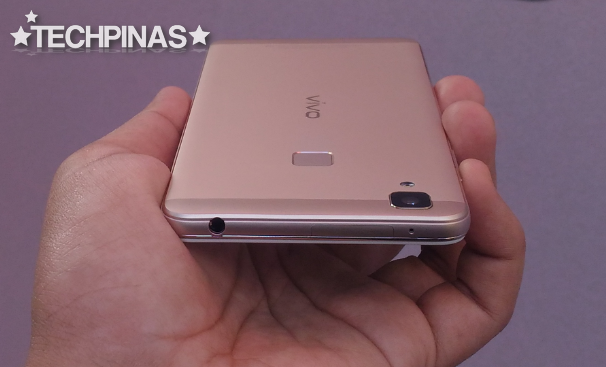 In contrast, the bigger and more expensive Vivo V3 Max runs on the more powerful 64-Bit Octa Core Qualcomm MSM8976 Snapdragon 652 chipset and has 4GB of RAM for even an more enjoyable mobile multitasking experience. 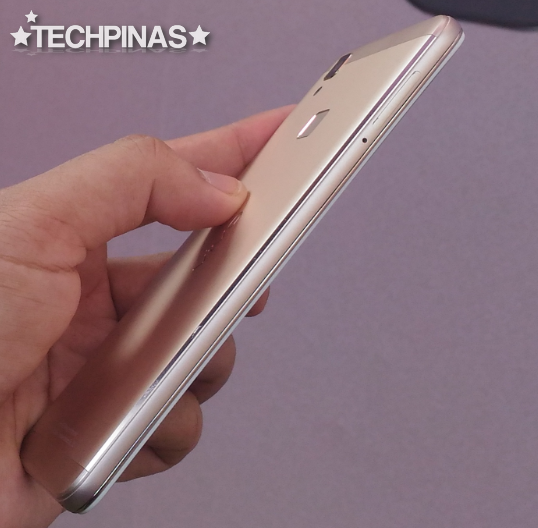 Like the V3 Max, Vivo V3 features a top-notch fingerprint scanner at the back that allows you to unlock the phone, snap selfies, and log-in to supported apps with but a touch of a finger. Powered by a non-removable 2,550 mAh Li-Ion battery pack delivering around a whole day of uptime, Vivo V3 has Dual SIM, Dual Standby capability and supports LTE Cat4 mobile connectivity. Perfect for mobile consumers who love listening to their favorite music tracks on-the-go, Vivo V3 - just like the company's flagship X-Series models - also comes with an AK 4375 Hi-Fi chipset that lets you hear more of the basses and trebles in each song -- whether you're using the included earphones or the loud speaker. For those who are wondering, FunTouchOS is basically an app-drawer free interface for Android that looks and works a lot like Apple iOS. You also get quick access to connectivity switches plus brightness and volume control by swiping from the bottom edge up and you can quickly check notifications by swiping down from the top edge. Apart from its aesthetics and UI, what I love about the Vivo V3 is that it has dedicated RAM for the camera. This means that you can launch the imaging app in a snap! No more missed opportunities to shoot fast moving subjects. Sweet, eh? 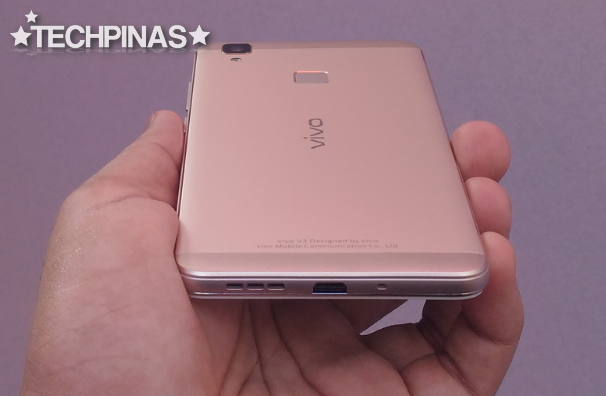 Again, TP Friends, you can expect to see Vivo V3 in store shelves across the Philippines later this month, April 2016. As yet, we don't have the official SRP for our country but I'm guessing that it should come in at around Php 12,500 to Php 13,000. Is it the right smartphone for you? If you're on the look-out for a beautiful metal-clad Android handset with fingerprint scanner, Hi-Fi audio chip, good selfie cam, and decent set of innards, you should definitely include this model in your list of devices to check out and give a test run.